If you are into White, these luggage tags will fit right in! You can find several different varieties. 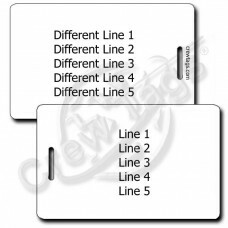 We have White Plastic Luggage Tags printed with your own information. 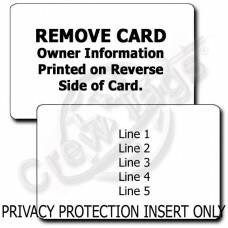 Or if you want to be able to change your information quickly on the fly, we have a variety of Business Card Holder and Privacy Protection Luggage Tags too! In a world filled with black luggage, a little color is a nice thing. These White Plastic .. In a world filled with black luggage, a little color is a nice thing. These White Plastic.. 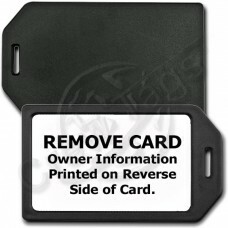 This Black Business Card Holder Luggage Tag holds a White PVC insert that is printed with up to 5 li.. 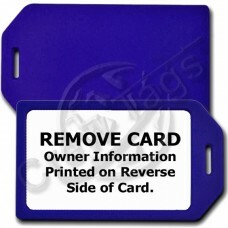 This Blue Business Card Holder Luggage Tag holds a White PVC insert that is printed with up to 5 lin.. 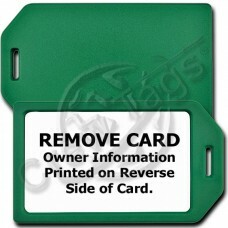 This White Business Card Holder Luggage Tag holds a White PVC insert that is printed with up to 5 li.. 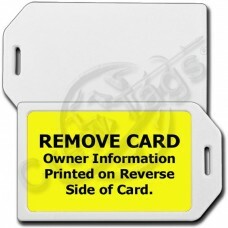 This White Business Card Holder Luggage Tag holds a Yellow PVC insert that is printed with up to 5 l.. 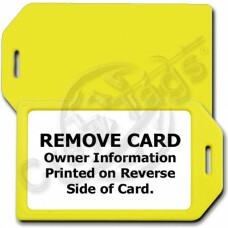 This Yellow Business Card Holder Luggage Tag holds a White PVC insert that is printed with up to 5 l..